During 2016, the Institutional Strategic Plan (according to the Director’s Board Registry N ° 709, October 2016) was updated, seeking to consolidate IFOP as an enabling platform for knowledge management coming both from Fisheries and Aquaculture Research. This update included a broad participation of IFOP’s community and representatives of institutions belonging to the sectoral and productive areas, allowing them to gather their experiences and strategic aspirations for the future of the institution. Due to the high approval and identification with the institutional strategic definitions, updated in 2015, these remain unchanged, being strategic objectives updated, through the development of a strategic institutional map. 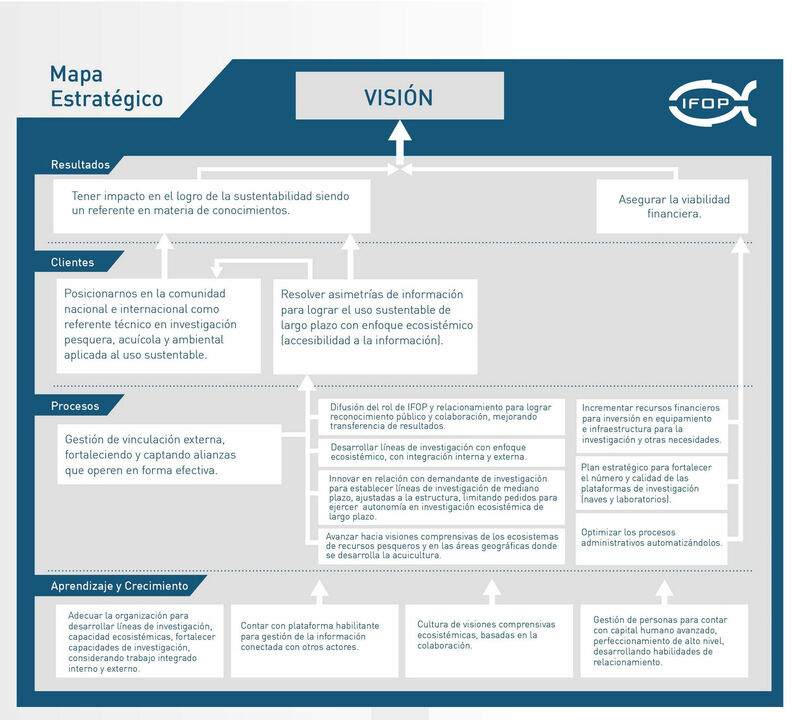 To advise national fishery and aquaculture institutions decision making processes, through the elaboration of public value scientific and technical backgrounds for the administration and sustainability of fishery resources, aquaculture and their ecosystems. 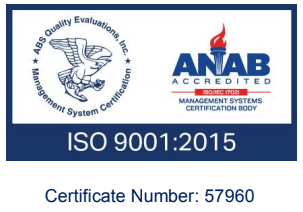 To be recognized as a technical reference in fishery and aquaculture research applied to the sustainable use of hydrobiological resources and their environment. Position ourselves in the national and international community as a technical reference in fisheries, aquaculture and environmental research applied to sustainable use. To solve information asymmetries to achieve long-term sustainable use with an ecosystemic approach. These learning objectives achievement would allow the development of the following process objectives, considered necessary to achieve value propositions. Management of external linkage, strengthening and capturing alliances that operate in an effective way. Move towards comprehensive ecosystemic views of fisheries resource and geographical areas where aquaculture develops. To innovate in relation to a research applicant to establish medium-term research lines, adjusted to the structure, limiting requests to exercise autonomy in long-term ecosystemic research. To develop research lines with an ecosystemic approach, with internal and external integration. Dissemination of IFOP role and relations to achieve public recognition and collaboration, improving results transfer. To increase financial resources for investment in equipment and infrastructure for research and other needs. Strategic plan to strengthen the number and quality of research platforms (ships and laboratories). To optimize administrative processes by automating them.